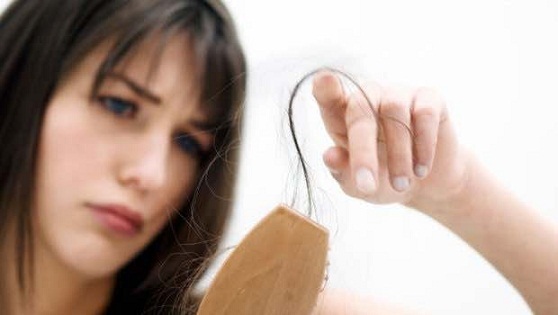 Hair thinning is a rampant problem many a woman around the world has been suffering with. Dry lifeless hair often loosens up at the roots and as a result is very much prone to breaking or splitting and even stagnant growth due to lack of proper nourishment at the base. At such a time, using any chemical based product for your hair is a definite risk which can result in more hair fall and hair splitting. 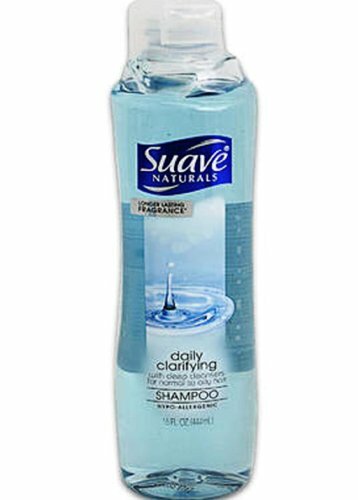 It is a rather sensitive case scenario that we have to balance on every time we opt for a shampoo. This is why we have enlisted below a list of all the shampoos for thinning hair which would give you the long desired hair volume while protecting your hair from the base to avoid further thinning. Thin hair weighs down pretty fast and this is why this specially formulated lightweight product comes with Samy’s patent FH4 thickening complex which is a fusion of hair proteins and natural extracts that would work on your hair to give you a head full of moisturized hair without product buildup probabilities. 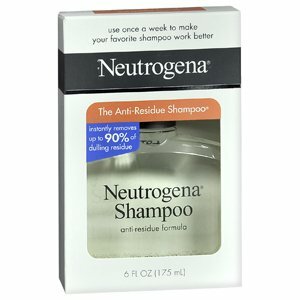 Once again we speak of the product build-ups through styling products and even shampoos and conditioners at times and here the anti-residue shampoo from Neutrogena would cleanse your scalp and hair follicles of the buildup so that your hair can remain fresh. It also works on the strands to give them a fuller look. 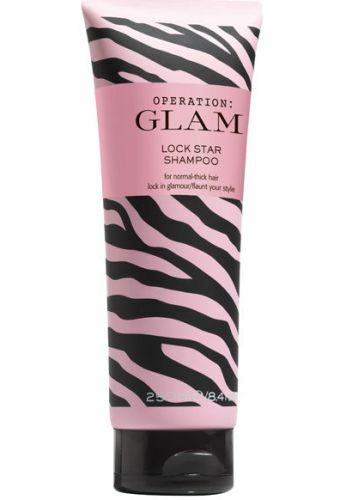 Lulu’s Operation GLAM, larger than life shampoo comes in a pretty zebra patterned tube but that is not the only thing worth mentioning about this product. Made especially to tame fine or thinning hair, this product will infuse into your strands and make them stronger to stop unnecessary breakage while working on the base layers to keep the look thick and volumized. 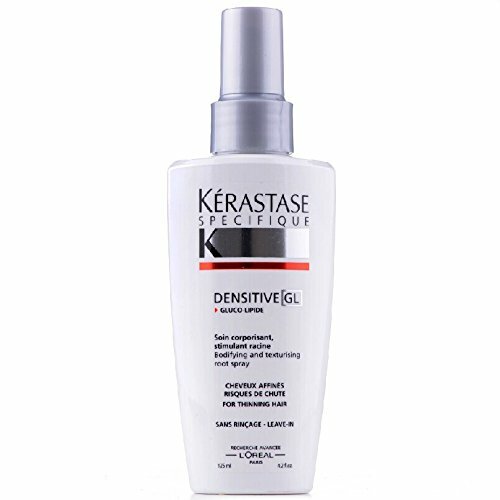 One of the professional fashion week styling product, Kerastase Specifique brings to us the Densitive revitalizing shampoo that inhibits micro-circulation in your scalp which is a good source for hair strength and even growth at the best case scenarios. Revitalizing the hair, it brings back the volume effect so that hair thinning doesn’t bug you. 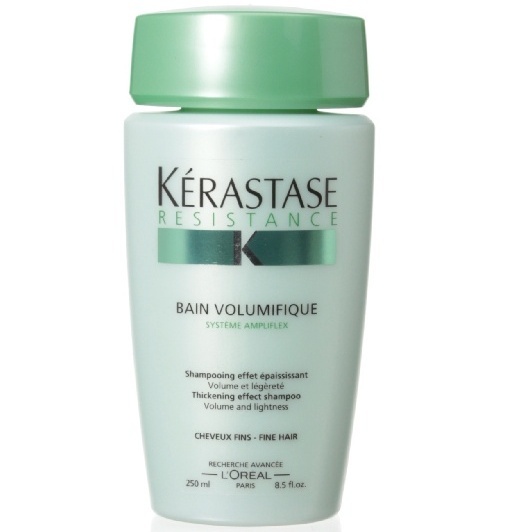 Formulated especially for fine hair, Bain Volumifique focuses mainly on the thickening aspect of the hair. This mint green bottle injects hair fiber particles into the hair strands that bring about the volumizing effect while cleansing your scalp of possible dandruff or product buildup. 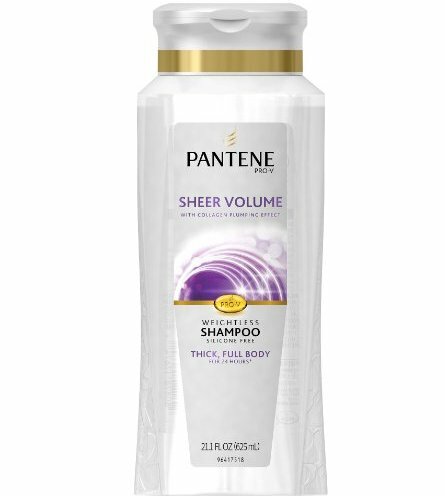 Enriched in micro-boosters, Pantene’s Sheer Volume shampoo and conditioner is a powerful duo working towards hair manageability and body. The micro-booster works on the hair follicles and integrates the boosters within the strands to give the flat hair a lively bounce. The conditioner prevents the hair from drying and maintains manageability. Turn your deflated tresses into a vibrant bunch by opting for the Jo Hansford Volumising shampoo. Infused with sunflower seed extracts and keratin boosters, your hair will be protected regarding splitting or breakage while the color protection can protect color fading. The keratin boosters simply enhance the body of your hair. Bumble and Bumble’s thickening shampoo works to lift the product buildup from your hair so that you can sport a free flowing head of hair. Sealing the split ends to avoid further damage, this shampoo initiates hair fiber buildup within the hair strands to give the required thickened look. The daily clarifying shampoo essentially cleanses out your scalp from possible hindrance to hair volume enhancing such as product buildup. 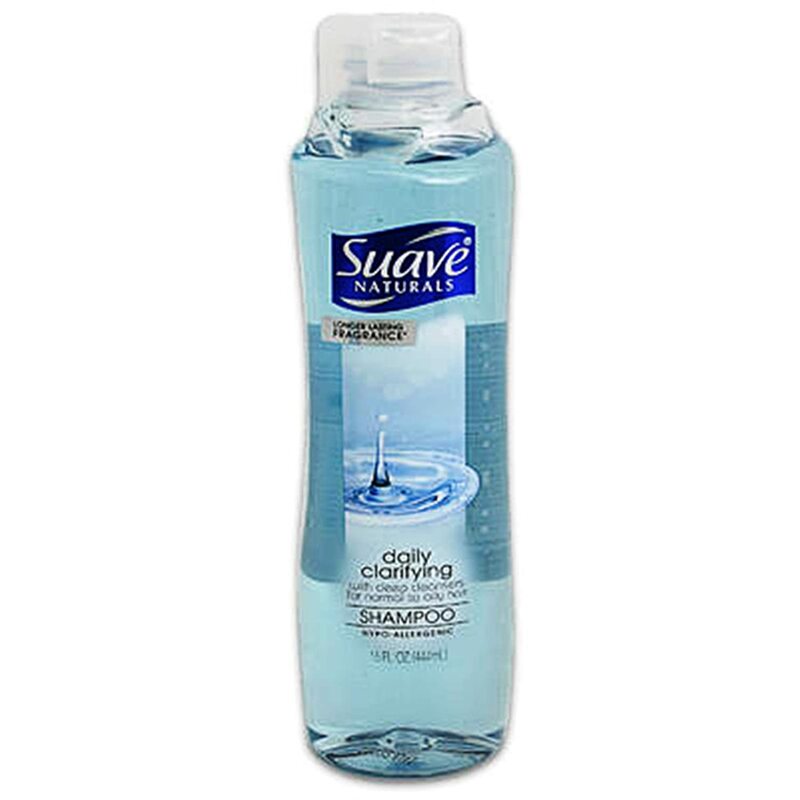 As it replenishes your flat dry locks, it leaves behind a soft fragrance and long lasting effect.